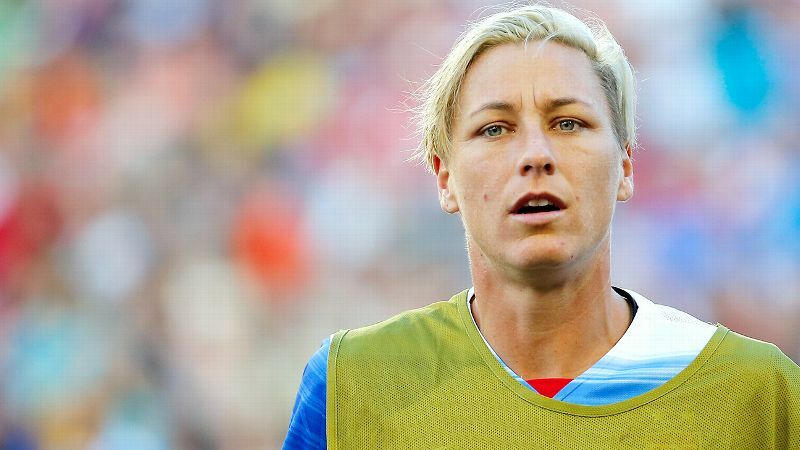 VANCOUVER, British Columbia -- United States forward Abby Wambach says the team would have more goals in the Women's World Cup if it were being played on grass. In the Americans' 3-1 victory against Australia, Wambach missed a pair of headers that she is normally expected to convert, with the ball glancing off her head and going wide on both occasions. In the U.S. team's 0-0 draw with Sweden, another Wambach header was driven down into the turf, bounced up, and was then tipped over the bar by Sweden goalkeeper Hedvig Lindahl. "I think I score if we're on grass," she said following Saturday's training session. The entire Women's World Cup is being played on artificial turf fields, and before the tournament Wambach was part of a group of 60 players that filed a lawsuit against FIFA and the Canadian Soccer Association, claiming gender discrimination because the men's World Cup has been played exclusively on grass. The lawsuit was eventually dropped. As for why playing on turf makes a difference, Wambach cited the fact that the ball bounces differently on turf as opposed to grass. 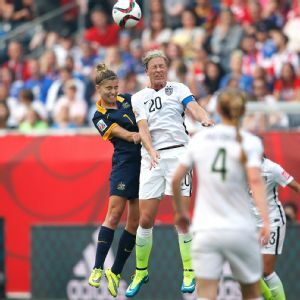 Abby Wambach failed to connect on goals on a pair of headers in the United States' 3-1 victory over Australia. 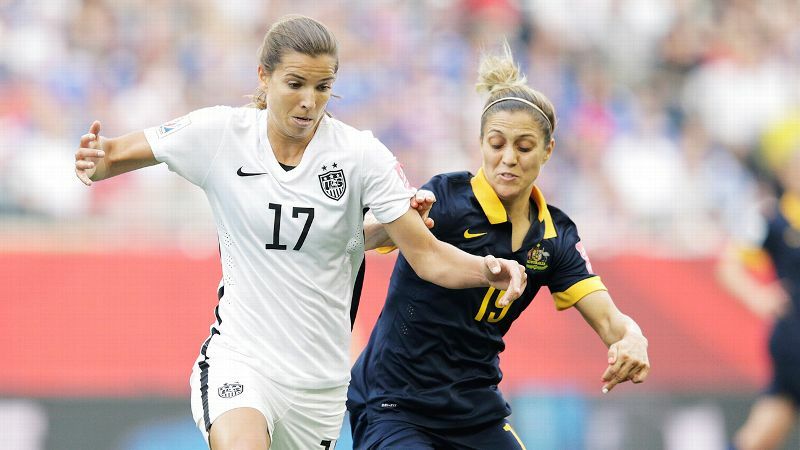 "The ball as it comes off my head against Sweden hits a dry turf and bounces higher," she said. "If it hits grass, it's harder for a goalkeeper to react, so if the ball bounces higher the goalkeeper has more time to react off the turf." The abrasive surface has also played on her mind when she dives for headers, with Wambach saying she is "way more carefree" when she plays on grass. "I'm throwing my body, I'm not worried about anything," she said. "There's no second-guessing." She later added, "In the previous game, I don't lay out and commit to those headers and that's why they glance off my head rather than me contacting them. For me, I definitely think that the U.S. has more goals if we're playing on grass." The U.S. has no choice but to deal with the fact that the games are being played on turf, however. Wambach, while not speaking specifically about playing on turf, stated that the U.S. has to adapt to whatever circumstances present themselves. "Championship teams are the team that are able to deal with all things, in all moments, in all sorts of ways," she said. The U.S. currently sits atop Group D with four points from its first two games. It plays Nigeria in its group stage finale on Tuesday.